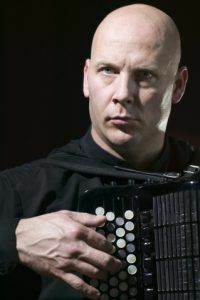 EMINENT classical accordionist James Crabb has just been named as artistic director at Four Winds Bermagui, replacing Paul Dean in the role. A performer at the 2012 Four Winds Festival, Crabb has appeared at many festivals globally including at Aldeburgh and the London Proms, and with the ACO in Japan and Europe. He is renowned for his exciting performances of repertoire spanning six centuries as well as being an authority on the music of Astor Piazzolla. “Music-making at any level must be a two-way natural, enjoyable, memorable and enriching experience for the performer and listener regardless of age, knowledge, ability or experience” he added.